I wrote about this project about a year ago and now I am actually starting to finish it. 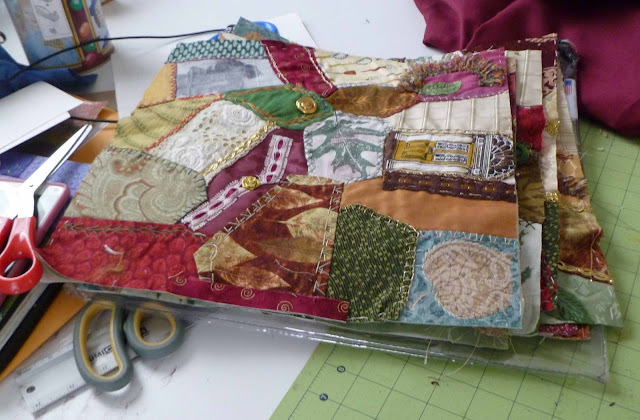 My girlfriend Betsey took a crazy quilt class in NY before she moved to Maine. She has had these blocks for at least 10 years and now I have the time to square them up and apply the sashing and border. 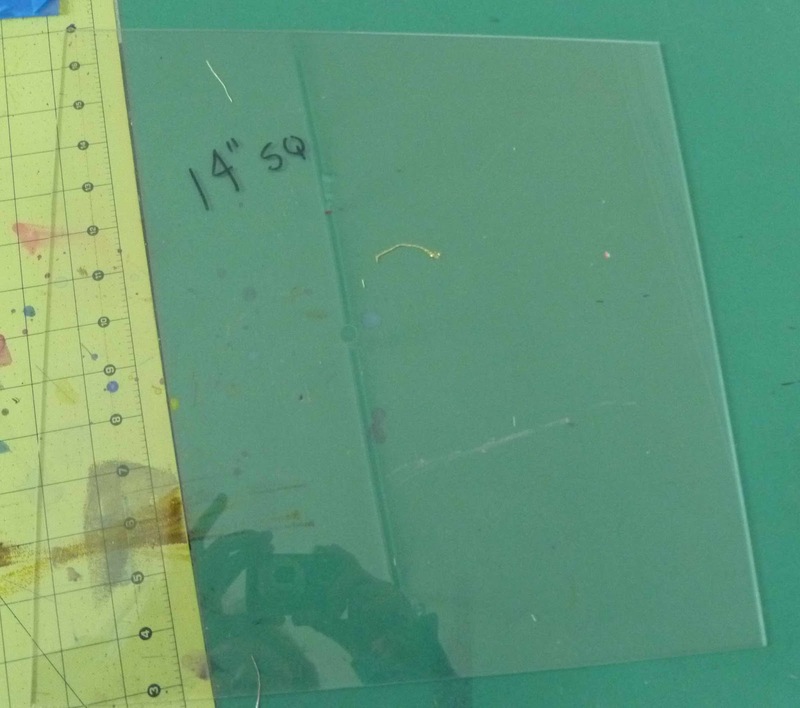 Yesterday I squared them up using the 14" square of Plexiglas Betsey had cut for me. Makes it so easy and convenient. Having a square cut coats about $5. and is worth every cent. She also applied a lot of " embellishments " which may get in my way like thick buttons, hand beading and metal coins. I am just about ready to cut the strips for the sashing and I hope to have this finished by Friday. If there isn't a Friday post, no explanation is needed (smile). 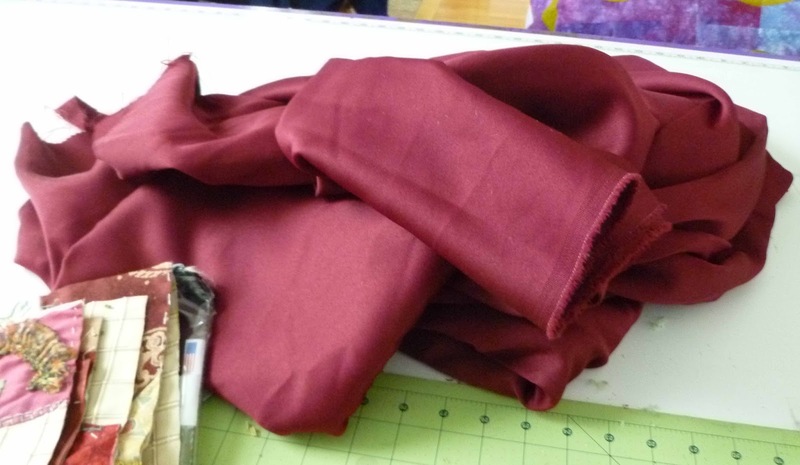 Fabric for sashing, binding and I hope backing as well. I am planning a "pillowcase" backing. Oh, my... I can't wait to see this finished! 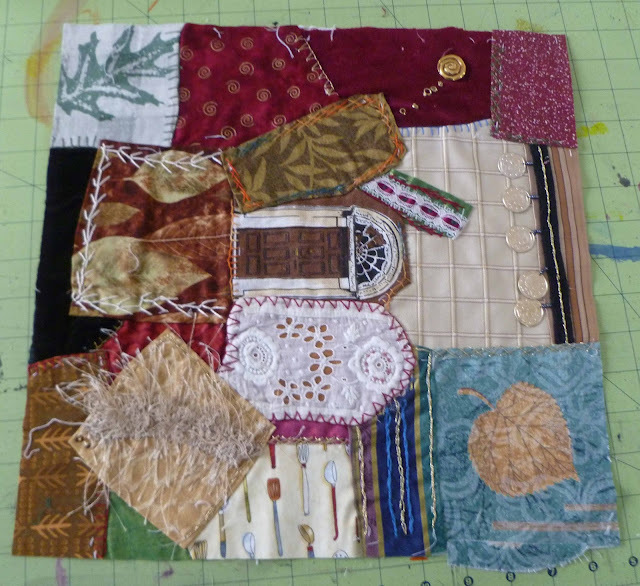 I love crazy quilting, and it looks like she really did a lovely job with the squares! That'll keep you 'crazy busy'! It's nice that all the work she put into the quilt won't go to waste. I'll enjoy seeing your progress.